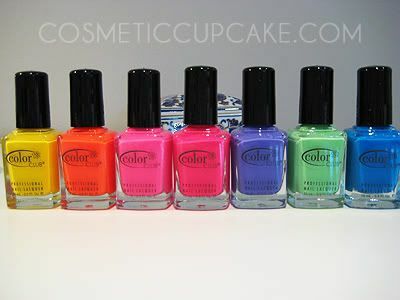 Cosmetic Cupcake: My 1st Color Club polishes and I received 2 awards! My 1st Color Club polishes and I received 2 awards! I'm still not feeling 100% and now I have a massive earache too, ARGH! So I was very pleased to get home from work yesterday to find a parcel waiting for me as retail therapy can be even better than chicken soup sometimes =) I've seen so many lovely manicures using Color Club polishes but like everything else in Aus they're hard to come by and if you do it's pricey so I turned to Ebay. 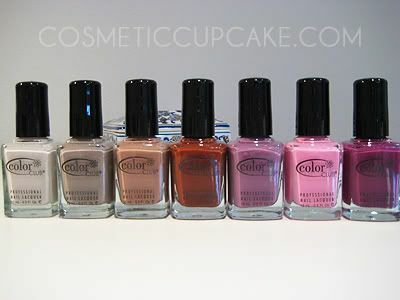 I won an auction that was a bargain and am now the proud owner of 21 Color Club polishes! These didn't come with official labels but the seller kindly labeled them for me so I didn't have to do it myself. I'm assuming that these must have been part of a multi-pack or something.. can any ladies confirm this? Thanks in advance from a Color Club noob! These colours looks perfect for french manis and more demure looks, obviously hence the name of the collection. Omg these are SO bright! Can't wait til summer when I can rock these colours loud and proud hehe. Unfortunately it didn't include Rebel Debutante or Gossip Column but oh well. 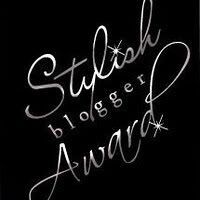 The rules are: Copy the award above, place it on your blog - link your blog back to me and name five things about yourself! Then pick 5 bloggers you'd like to tag with this same award. 1. I can play the violin and piano - not very well now as I haven't played in ages. 4. I love TV - stick me in front of a TV and even if it's the most boring show on earth I will watch it with total concentration. 5. I would love to quit my job and travel around the world visiting exotic places! Wow, you've got some nice colours there. I think these were sets that were available from a shop called Ross in the US. They're the same polishes but apparently they're missing labels and the caps are slightly different. I remember reading about it on MUA. Wow, such a great haul of colour club polishes. I have a couple too but I'm always on the lookout for more. You can play the violin and the piano? That's awesome. I was taking piano lessons for 6 years when I was younger but can only play basic stuff now. I'm totally with you on number 5. If only it was possible. Hey I just read your comment on my bubble tea post and I wanted to ask, how do you make bubble tea?! That sounds awesome!! Do you buy the ingredients from asian grocery stores and stuff? I am glad that you accepted award. :) You definitely deserve it. You'll have to let me know how you like them - I myself don't own any Color Club. @Cel: I'd love to see your manicures using Color Club polishes! Yeah i can probably only play basic stuff too now which is a shame because I spent so long playing them. Oh well! 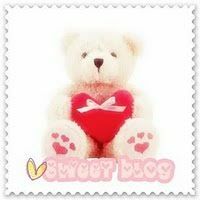 @Krissy: Replied on your blog hun! @Tassa: Thanks so much! You are very sweet =) I have a LOAD of untried polishes at the moment but you'll definitely see manicures using these polishes very soon! @Freshie: No worries I'll let you know. Thanks for stopping by!